Please contact the An error occured while connecting to the database. 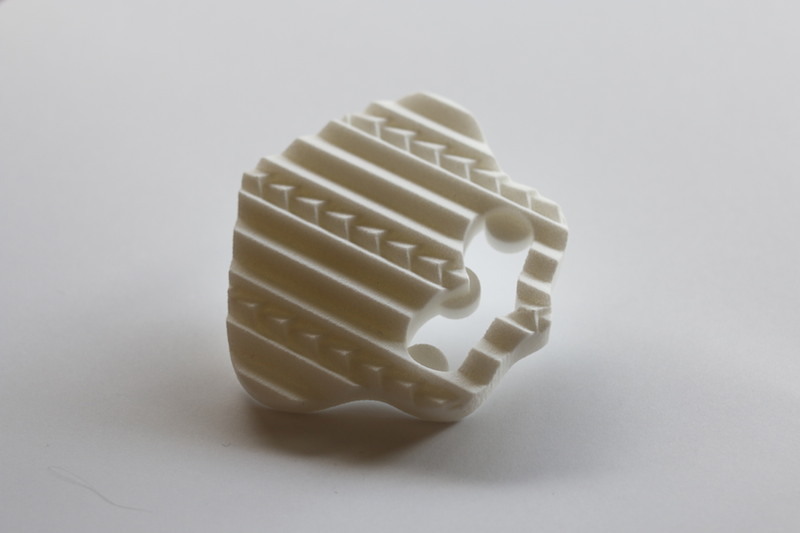 To accompany our new interactive exhibition "Art That Needs You" featuring locally-based artist Kereama Taepa's installation 'Seconds', Taepa has created a limited number of 3D Printed Brooches that are available for sale. Taepa combines new developments in technology to explore ideas of innovation as a tradition in toi Maori. His practice refers to the notion of whakapi, an additive approach, similar to that of the native honey bee. Each brooch is made from 3D Printed Polyamide, this brooch is called 'Wheku1'.